April 26 & 27, 2019! 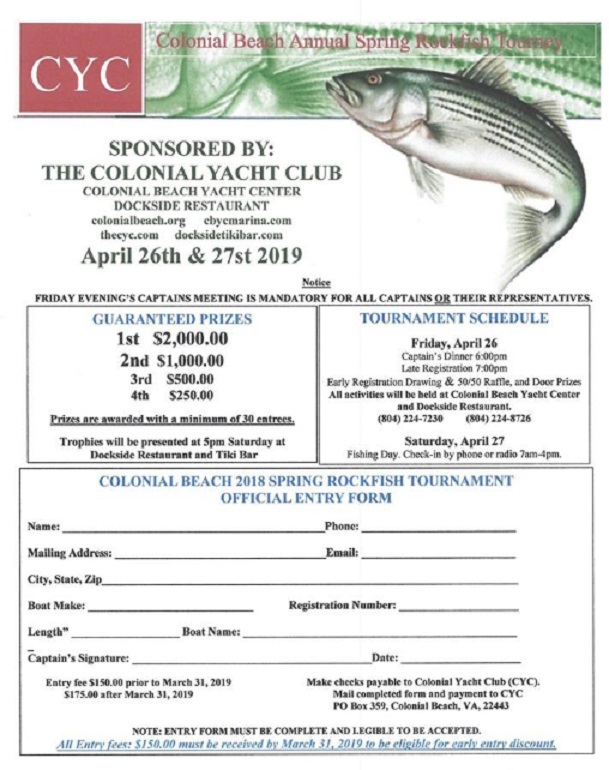 Colonial Beach Volunteer Fire Department's Spring Rockfish Tournament fundraiser is always a "reel" fun time! Just from entering the parking lot, I knew what event I was at. All I had to do was to take a look at some of the cars license plates! 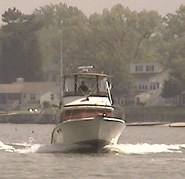 The location was the Colonial Beach Yacht Center. The date, April 25th, 2009. The weather was a scorcher, considering it was only the end of April, with temps in the high 80's and low 90's. Luckily, there were no storms to contend with. The fishing commenced at 7:00am and ended with a final weigh-in cutoff time of 4:00pm. Maryland Department of Natural Resources as well as Potomac River Fisheries Commission's rules and regulations for rockfish limits apply to this event, and fishing was allowed from south of the Rt. 301 bridge to the mouth of the Potomac River. I saw some HUGE fish come in at the end of the day. One of them nearly knocked the scales off the table as it was hoisted into the tray. That was a big rockfish. 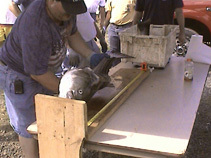 Tournament officials weighed and measured it. 1st Place: Bob Ackerman 62.05 lbs., 83 7/8 in. 2nd Place: Jerry Shinneman 54.75 lbs., 81 in. 3rd Place: Sam Fisher 50.55 lbs., 78 3/4 in. 4th Place: Cary Geddes 48.2 lbs., 80 3/4 in. 5th Place: Dan Henderson 46.12 lbs., 77 3/4 in.